If you are using NetSuite for retail, RF-SMART extends the omni-channel vision with powerful, real-time inventory and fulfillment functionality. Are you using NetSuite for Retail? Do you need to improve your multi-channel fulfillment capabilities? Is your inventory accurate and visible to your organization and your customers? Do your associates have the right tools to accurately receive, count and maintain inventory? Is transferring merchandise between stores and warehouses easy … or a hassle? If you answered yes, RF-SMART can help. Our Retail Inventory Management package helps you meet today’s omni-channel requirements by providing core inventory and retail-specific functionality for your operations. RF-SMART extends NetSuite's retail module with mobile functions. All functions listed also support and enhance Inventory Status. 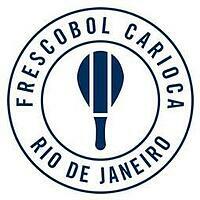 Read how RF-SMART was able to save Frescobol Carioca $40,000. Are you ready to increase inventory accuracy?